The Earthquake that hit Sikkim on 18th September evening at 6.10 pm measuring 6.8 Richter scale left in its wake a trail of death and destruction, leaving a population of close to 100,000 homeless and almost 60 dead (as on 21st of september 2011) and 32 seriously injured. The quake lasted for about 30 seconds and shook the entire state of Sikkim as well as its tremor felt in other part of India like Lucknow, Patna, Kolkota, New Delthi. The epicenter of the quake was located 64 kilometers North-west of Gangtok. The total loss as per the Chief Minister’s announcement on 21st September was 1 lakh crore. 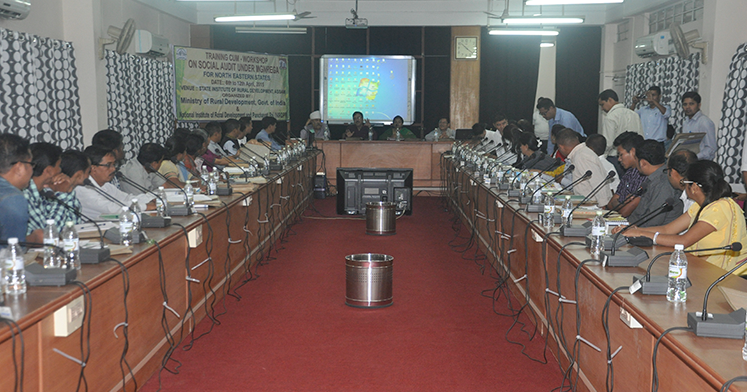 The major area affected was mostly in North District Sikkim and also East, West and South were also heavily affected. In the North Sikkim especially Mangan being the location of the epicenter made it impossible for rescue operation to distant villages and towns, to be conducted on time as the connecting highways were blocked due to post earthquake landslides. 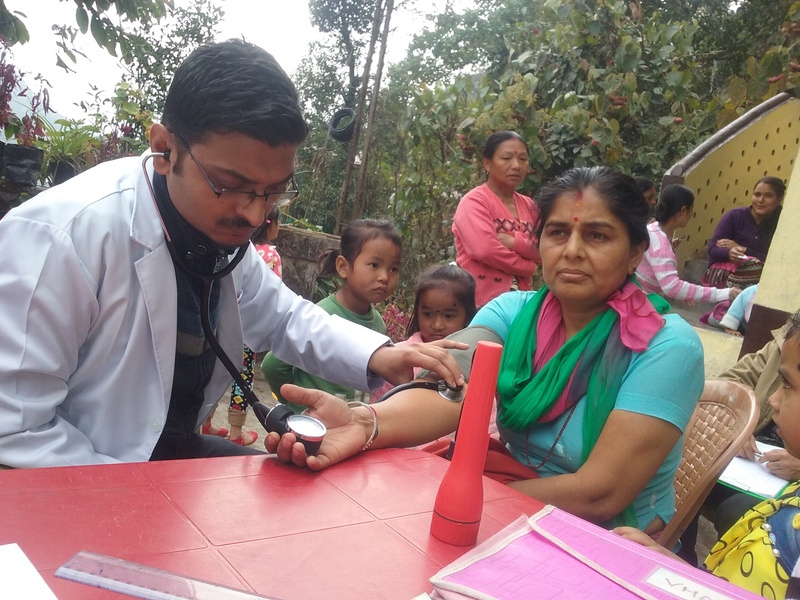 Despite being shocked and shattered by the earthquake of 18th evening, the energetic staff of voluntary Health association of Sikkim strongly felt their need towards the society. Though the government had announced the state holidays for some time, they started working towards the Relief and Rehabilitation of affected villages and people. 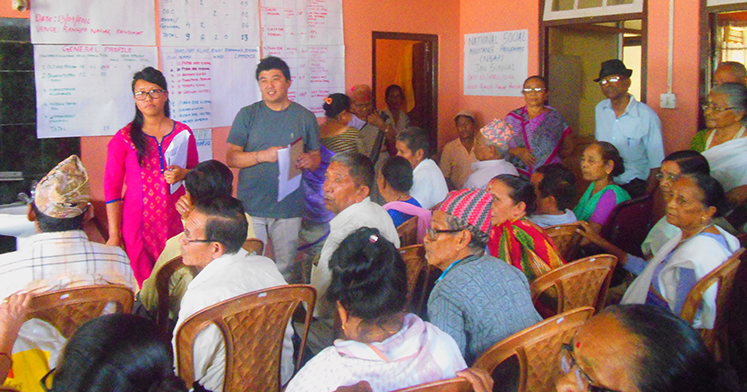 Tumin GPU, Rakdong Tintek Block (East District): : A team of VHAS comprised of Executive Director and other staff of VHAS reached to the highly affected/damaged villages of Tumin, East district on 19th September 2011. As the connectivity to that villages were totally damaged out team had to walk through jungles and hills for more than five hours to reach to the affected villages. 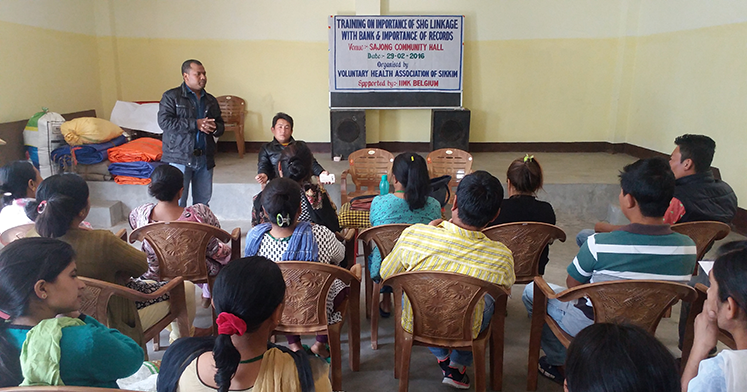 A partner organization of VHAS, Nava Jyoti Sangh of that locality supported the mission and also took up the responsibility of collecting information and supplied it to VHAS. Singbel Kambal GPU, Rakdong Tintek GPU under Tintek Block and Ralap Rangpu GPU under Khamdong Block (East District): A team from VHAS reached on 20th September 2011to the highly affected areas of Singbel Kambal GPU, Rakdong Tintek GPU under Tintek Block and Ralap Rangpu GPU under Khamdong Block. VHAS distributed tents to meet the immediate needs of the affected people. 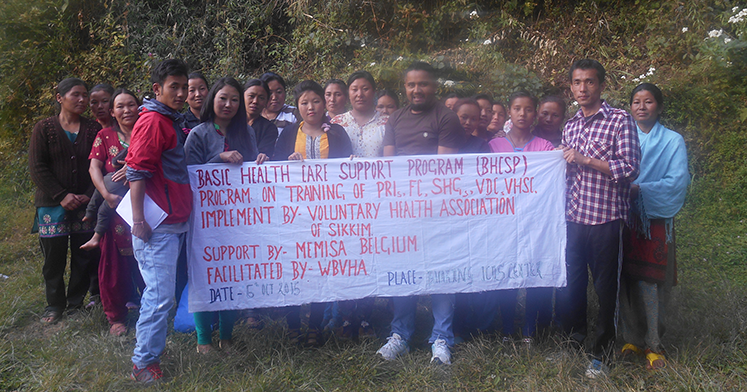 A partner organization of VHAS of that locality supported the work with full responsibilities. Sakyong Pentong GPU, Passingdong Block (North district): Based on the rapid assessment report various relief activities were also carried out at Nandok, Kamaray and Ralay in east Sikkim Monew, Nasa, Taribhir, Middle, lower and upper Rumbuk Daramdin Sai Mandir Relief camp and Ribdi Bharagn in west Sikkim. Under Ribdi Rharang GPU of Daramdin Block team visited three villages called Bharang, Upper Ribdi and Lower Ribdi. Team assessed the situation interacted with the affected families and delivered the relief materials like tent, torch light, candle, match box, and poly pipe, rice, pulses, blanket and first aid box to 14 households. VHAS carried out relief activities individually as well as in collaboration with different institutions.